Training for facilitation and convening a community deliberation is bring offered in Salina. The TALK Salina organization is having its second Facilitation Training on Saturday, April 27 at Sunrise Presbyterian Church, 825 E Beloit Ave.
TALK Salina’s mission is to facilitate citizen centered public deliberation to address issues of importance to the Salina community. TALK Salina enhances local democracy and community engagement. According to the organization, the Institute for Civic Discourse and Democracy at K-State will provide the training which is sponsored by a grant from the Kansas Volunteer Commission and hosted by TALK Salina and Central Kansas District Extension. The event will start at 9:00 a.m. and end at 5 p.m. Lunch is provided. Everyone who has attended a former training event is invited to attend at 3:15 p.m. for a review and refresher session. Participants will receive practical training for facilitation and convening a community deliberation event utilizing the National Issues Forum Model. When completed, they will take away a fuller understanding of technical and complex decisions and stages of decisions, and an overview of different facilitation models as they apply to stages. Following the training, participants can utilize facilitation skills in their professional lives and also volunteer as roundtable facilitators for future periodic community deliberations. 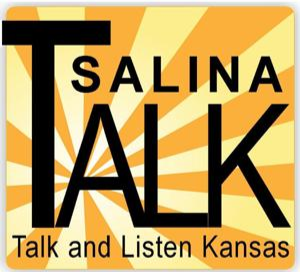 TALK Salina has hosted local and national discussions which have had a ripple effect in the community on issues like Immigration, Mental Illness, Safety and Violence, the local Jail and Early Childhood Development. There is a fee of $25 for the general public and $5 for students who are also welcome to attend. Registration is limited. Please register by April 22.